A recent report by the Thomas B. Fordham Institute on the Common Core reading standards has challenged whether teachers are implementing the standards rigorously. As a high school English teacher in Kentucky, I have taught under the Common Core for six years. I am confident that the standards aren’t a problem. If anything, they have made my instruction stronger and more rigorous. While naysayers have been quick to point to the Fordham report as evidence of backsliding in education, I found several encouraging signs in the report that give me hope for the direction of education in our country. For instance, the report notes that teachers are using a variety of tools to gauge text complexity — something educators haven’t always focused on as heavily. Understanding text complexity helps us to better challenge students by gradually introducing more rigorous texts so students are able to access content above their reading level. As to the headline of the report — that more teachers are now assigning texts based on reading level, rather than grade level — I’m not convinced that this is always a negative. In the past, teachers too often relied on a one-size-fits-all type of instruction, with every student reading the same book at the same time. But over the past few years, I’ve witnessed a shift in my district toward differentiating instruction based on individual students’ needs and learning styles — so those who are performing above grade level continue to be challenged, along with those who are building toward grade-level expectations. I’ve also seen teachers increasingly incorporate texts that are culturally relevant and appeal to students’ everyday life experiences, in addition to teaching the classical texts. In my own classroom, my students read Macbeth and Of Mice and Men, along with The Hate U Give, all while analyzing common themes in literature. 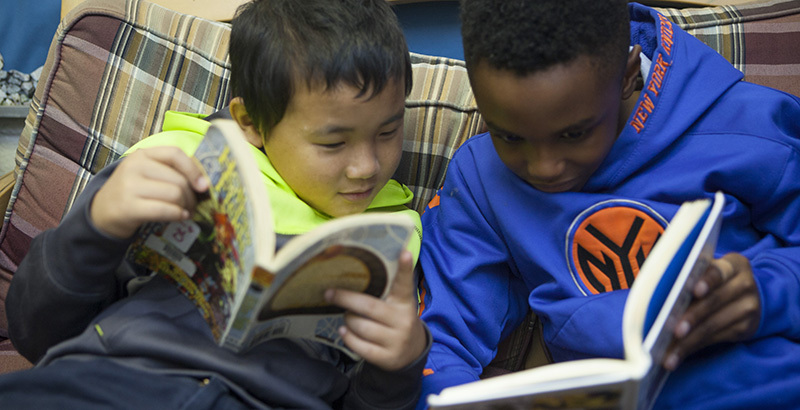 Regardless of the type of text or reading level, all our instruction should continue to move our students toward greater levels of proficiency. I see the study’s findings as clear evidence of the need for effective, teacher-led professional development. It’s important that districts continue to prioritize providing teachers with the professional development we need to better support all learners as we hold them, and ourselves, to higher standards. In my district, recent professional development sessions have included a focus on argumentative writing. This coming year, all high school English teachers in my district will administer an argumentative-writing task as a common assessment so teachers can come together, review the data, and compare and learn from one another’s instructional approaches. It’s one way we’re working to improve evidence-based writing instruction. The Fordham report highlights several other areas where professional development could be helpful, including “diagnosing the challenges posed by a text,” or continued support with providing “breadcrumbs” for students to gain a deeper understanding of a text. It’s true that the implementation of the Common Core State Standards haven’t been perfect and vary from district to district. But there is rich teaching and learning happening under the standards that also shouldn’t be overlooked. As I instruct my students, all texts should be viewed through a critical lens. I challenge my fellow educators to read the Fordham report. Share it with your colleagues. Use it as a springboard for discussing how you and your school have raised expectations under your state’s academic standards and how you can continue to better meet students’ needs. Kari W. Patrick is a high school English teacher at STEAM Academy in Lexington, Kentucky. A member of the STEAM Teacher Advisory Council, Kari has taught in both rural and urban settings, and was recognized in 2016 as the Kentucky Council of Teachers of English High School Teacher of the Year. She also serves as senior adviser on teacher outreach and innovation for Educators for High Standards. Kari Patrick is a high school English teacher at STEAM Academy in Lexington, Kentucky. A member of the STEAM Teacher Advisory Council, Kari has taught in both rural and urban settings, and was recognized in 2016 as the Kentucky Council of Teachers of English High School Teacher of the Year. She also serves as senior adviser on teacher outreach and innovation for Educators for High Standards.